Alan grew up in Amarillo and graduated from Abilene Christian University in 1987. He graduated from Dallas Institute of Funeral Service in 1988. He began his funeral service career in Abilene, TX and soon moved to Albuquerque, NM to work for French Mortuary. At French, he served his apprenticeship, became a licensed Funeral Director and Embalmer in the State of New Mexico in 1989, and served in several managerial capacities during his 16 year tenure. Alan and his wife, Stephanie, were given the opportunity to buy the funeral home in Carlsbad, NM in 2004. He feels fortunate and blessed to have this opportunity to serve the Carlsbad, Loving, and surrounding communities. Alan's priority is to serve this community with integrity and provide them the very best in funeral service. 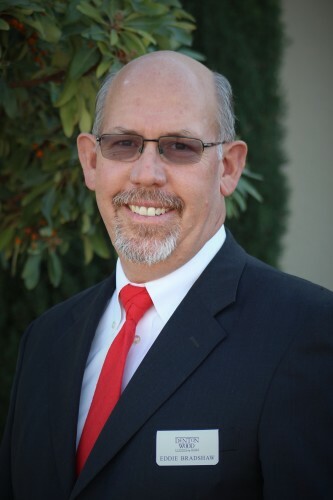 He is a member of Sunset Church of Christ, member of Carlsbad Rotary Club, where he served as Past President, member of the Carlsbad Chamber of Commerce, serves on the Board of Directors of Lakeview Christian Home, and is active in the community. Alan and Stephanie have five sons, Seth, Clay, Ryan, Reid and Bret. Tim was born and raised in Carlsbad, NM. He graduated from New Mexico Military Institute with a high school diploma and received an Associate of Arts Degree. While in Roswell, he met his wife, Sherri. He served his apprenticeship under the supervision of Perry Denton. Tim then attended and graduated from Dallas Institute of Funeral Service in 1981. For some time, he lived in El Paso where he managed two funeral homes. He is a licensed funeral director and embalmer in New Mexico and Texas. Recently returning to Carlsbad, Tim looks forward to the opportunity to serve the community of Carlsbad and surrounding areas. He is a member of the Church of Christ and a member of the Masonic Lodge, Scottish Rite 32nd Degree, and the Shrine. He and his wife, Sherri have one son. Crystal was born in Carlsbad and raised in Malaga, NM. She is a 2005 graduate of Loving High School. Crystal and her husband, Anthony are members of San Jose Catholic Church in Carlsbad. She is a charter member of the Catholic Daughters of the Americas, Court St. Maurus. Crystal is also part of the Assistance League of Carlsbad and the education council with the Carlsbad Chamber of Commerce. She began working at Denton-Wood Funeral Home in June 2011 and became the office manager in November 2015. Becky graduated from Roswell High School in 1970. She pursued a Business major at Eastern New Mexico University Roswell Campus. Becky was a commercial Real Estate Broker in Roswell, NM for many years prior to moving to Carlsbad in 1993. Becky began working as a part-time Secretary/Receptionist for Denton-Wood Funeral Home in 2006. In 2007 she began a new role as a Family Consultant specializing in Prearrangement and Aftercare. She loves working with people to wisely secure their final plans and to guide them through the maze of paperwork after a death occurs. She helps people through difficult decisions and simplifies plans that would otherwise become complicated. Becky has been married to J.C. since 1988 and they have two children; Hannah and Caleb. She is a member of the Sunset church of Christ. Becky and J.C. are members, and have served as President, for the Carlsbad Tennis Boosters and Carlsbad Christian Home Educators. 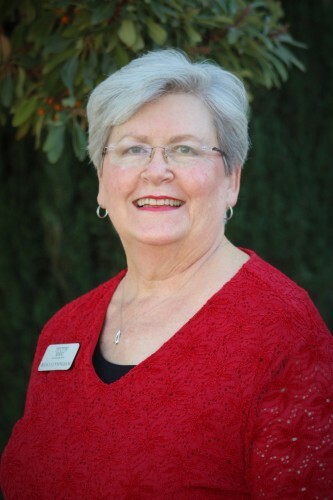 She is an ambassador of the Carlsbad Chamber of Commerce and is an avid supporter of the community. Pearlene was born and raised in Carlsbad, New Mexico. She went to work for the City of Carlsbad as a senior in High School and continued working in all aspects of the Finance Department, retiring 28 years later as Finance Director and City Clerk. She worked for the Eddy County Clerk's office for several months before going to work as the Office Manager for Denton-Wood Funeral Home in August 2006. She is a member of the Church of God of Prophecy and served on the United Way of Carlsbad Board of Directors. Pearlene and late husband, Jim have 4 children and 12 grandchildren. Larry is from Indiana, moved to Tucson, Arizona in 1953 where he attended High School and the University of Arizona. He enjoyed a 37 year career with the National Park Service as a Park Ranger/Naturalist up to Park Superintendent throughout the nation, Venezuela and Carlsbad, NM until he retired in 1999. 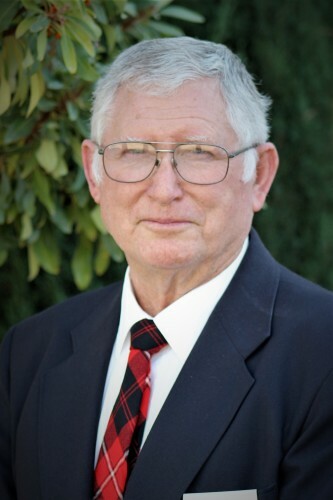 Larry served on the Carlsbad City Council for a four year term, and began work at the funeral home in 1999. Larry serves as Chairman of the Board of the Carlsbad Caverns Guadalupe Mountains Association, Board of the Carlsbad Community Concert Association, volunteers with the Carlsbad Hospital Auxiliary; volunteers for the Carlsbad Community Foundation; member of Carlsbad Chamber of Commerce; has held most committee leaderships positions in First United Methodist Church and represented the church at the Annual Conference for 8 years. He has served on Church teams doing KAIROS ministry programs in prisons, and provided leadership on many Christian "Walk To Emmaus" teams over the years. Larry continues to serve on City of Carlsbad Committees as needed. He is an avid hiker and backpacker, and leads group hikes into the mountains and deserts several times annually. Larry has been married to Signe for 46 years. They have two grown sons: Eric and Scott, and four grandchildren. Louie is a native of Carlsbad and graduated from Carlsbad High School in 1970. He attended New Mexico State University - Carlsbad for two years studying Elementary Education. Louie married Mary Helen Villa in 1970. He previously worked at Carlsbad Municipal School's as an Auto-Visual Technician and Photographer; Wackers as an Assistant Manager for three years; National Potash Mine for 10 years; KVIO-TV, then KOAT-TV as a Technical Director/ Supervisor/Operator for 10 and a half years. Louie began working at the funeral home in 1993. He is a licensed Funeral Service Intern at Denton-Wood Funeral Home and assists with Spanish speaking families during arrangements and services. He is a member of San Jose Catholic Church. Louie and his wife, Helen, have five children: Louis Jr., Jesse, Cynthia, Andrew and Leonora and have six grandchildren. Wade was born in Poteau, Oklahoma and moved to Carlsbad in 1957 with his family. He graduated from Carlsbad High School in 1961. Wade married Carol Dingess in December of 1964. He worked for AMAX where he worked 25 years as a welder. Wade then worked at Mississippi Chemical Corp for 11 years, also as a welder. His hobbies include hunting, fishing, and using his skills as a welder building cookers. Wade began working at Denton-Wood Funeral Home as a part-time Funeral Service Associate in 2009. He is a member of St. Edward Catholic Church, Knights of Columbus #2719 and a life-time member of the Elks Lodge #1558. Wade and Carol have three children: Kimberly (Thompson), Matthew and Paul. They also are the proud grandparents of five grandsons and one grand-daughter. Caleb was born in Roswell and raised in Carlsbad. While finishing high school, Caleb attended NMSU-C where he received an Associates Degree in General Studies. After high school, he moved to Lubbock, TX where he attended Lubbock Christian University and graduated with a Bachelors Degree in Mathematics. Shortly after graduating, Caleb moved back to Carlsbad where he started working part-time at Denton Wood Funeral Home and worked full-time for the Carlsbad Municipal School District at Carlsbad High School teaching freshman math. After the 2014-2015 school year, Caleb decided to pursue a career in funeral service. He started his apprenticeship in the summer of 2015 and is currently attending Dallas Institute of Funeral Service.